But the Director of Press, Ministry of Labour and Employment, Samuel Olowookere, in a statement in Abuja on Tuesday said the Minister of Labour and Employment, Senator Chris Ngige, led government to the meeting on behalf of the government. He said the meeting held took significant steps towards the resolution of the issues raised by ASUU. Olowookere said the meeting agreed on the forensic audit of N30bn earlier given to ASUU in 2010 and further agreed on monthly remittances to ASUU while the audit lasts. The Senior Special Assistant to the President on Media and Publicity, Garba Shehu, said this in an interview onChannels Television’s programme, Sunrise Daily. Shehu said the union leaders were aware of the fact that the Muhammadu Buhari administration inherited the agreements based on which the industrial action was declared. He said they were also aware that the Federal Government had set up a committee on the matter. The presidential spokesman regretted that while the union leaders were expected to sit down and negotiate with the committee, they resorted to a strike. He gave an indication that the government might not be able to meet the huge financial obligation the striking university teachers were asking for since the N850bn debt was more than the total allocation to the Ministry of Education in the 2017 Budget which he put at N369bn. Shehu said, “Governments enter into agreements that they can pay for. Ability to pay is a key requirement in going into agreements. “Since President Buhari assumed office, he has sent words out there in form of a warning to all government institutions that they should not go into negotiations and agreements that they cannot pay for; but get clearance. “I understand that they are talking about debts owed their members to the tune of N850bn. If I am correct, the entire appropriation for the Ministry of Education for this year is N369bn. So where do they want us to get the money from? Shehu said the university teachers opted to go on strike because they expected that all their problems should be solved with a wave of hand. “They want all the problems to go with a wave of the hand. They want all the answers to all their problems at a go. There is an avenue that the government has opened for them for dialogue and it is not closed yet,” the presidential spokesman said. The Academic Staff Union of Polytechnics on Tuesday said it supported the strike embarked upon by ASUU. The union in a statement by its Secretary General, Anderson Ezeibe, noted that the strike was aimed at restoring sanity to Nigerian universities and the education sector. It also urged government to commence the implementation of agreements entered into with ASUP to forestall an impending crisis in polytechnics. The union lamented that it had become a norm for government to renege on agreements entered into with trade unions, particularly in the education sector. It said failure of government to implement agreements frustrated unions and left them with no choice but to go on strike. The group said that it was concerned about the consequences of the strike on students, parents and society at large. It urged government to address the issue of shortfall in personnel releases in federal institutions since December 2015, non-payment of salaries in state polytechnics, non-implementation of Needs Assessment report and non-payment of allowances. 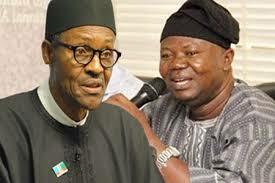 “ASUP notes the renewal of hostilities on the country’s university campuses between ASUU and government of Nigeria.